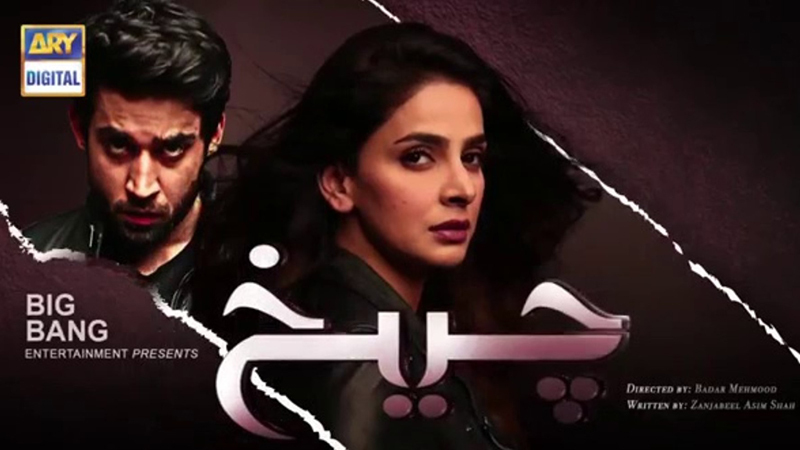 Drama serial ‘Cheekh’ aired its seventh episode on Saturday and boy did it carry a punch! The burning question of who pushed Nayab (Ushna Shah) off the roof has finally been answered, when the character we all suspected from the start, Wajih (Bilal Abbas Khan) confesses to Mannat (Saba Qamar). The confession in itself was not that shocking (as mentioned above mostly everyone who has been watching the serial suspected Wajih) but hearing the admission from his own mouth was indeed chilling. The most disturbing part of the confession was that Wajih doesn’t grasp the enormity of what he has done and has no regret about murdering a young innocent woman, who was not only a close friend of his sister, but someone he was attracted to as well. According to him he liked Nayab, so why did he kill her? His ‘rationale’ for killing Nayab because she was “the first girl ever to reject him” and that when he tried to force himself on her she had the ‘audacity’ to slap him, show us that this is a character without any empathy and his sense of entitlement is scary to say the least. Whether it’s his line to Mannat after she hits him in anger and sorrow, “I did worse to your friend after she only slapped me once” or his assurance that she is “safe from him because she is his bhabhi” reveals his arrogance to the viewers. Wajih is an entitled, rich, spoiled young man with little to no fear of accountability because his older doting brother Yawer played by Aijaz Aslam has always protected him. Bilal Abbas Khan’s portrayal of this character that completely lacks empathy and has no comprehension of the enormity of his actions is one of the best performances I have seen in a local drama. His wide-eyed bewilderment as to why Mannat is ‘angry at him’ and the way he taunts her with knowledge of his earth shattering revelation, makes me want to see more of the actor’s works. Not to mention wanting to see that smirk wiped off his face. Qamar as Mannat is convincing as usual. She is undoubtedly one of the country’s most talented young actors and rarely misses a beat as she effortlessly goes from portraying shock to outrage, disgust to fear; finally giving into despair. However, Ushna Shah’s last scene just before she was thrown off the roof and her confrontation with Wajih left a bit to be desired. 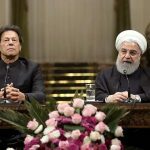 The dialogues themselves are a bit outdated as there is nothing wrong (although it is implied otherwise) with Wajih’s remark that he and Nayab should date before getting married. And when he says he believes this because he has lived for sometime in the US, made me think of the Bollywood movie ‘Pardes’ and not in a good way. After all ‘Pardes’ came out in 1997. Get with the script people, this is 2019, it is perfectly fine, in fact right that two people who are about to spend the rest of their lives together, should at least get to know each other first. But we as a society have a long way to go before breaking the stereotype of ‘good girls’ don’t date before marriage; and art is nothing if not the reflection of a nation’s culture. Despite these handicaps, I thoroughly enjoyed ‘Cheekh’s latest episode and can hardly wait to find out how exactly Mannat will ensure that Wajih is punished for murdering Nayab.